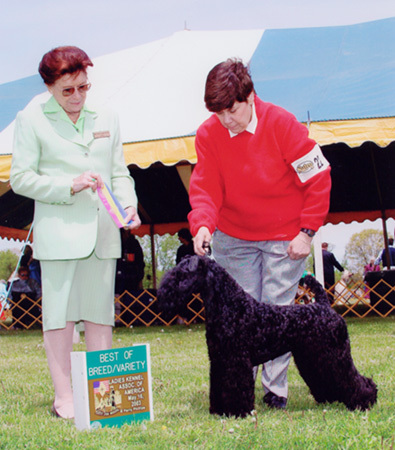 Paxon's Tangwystl gets closer to her title by going WB,BOS at the Kennel Club of Northern NJ, March 2. Her 1st show in 2003!! 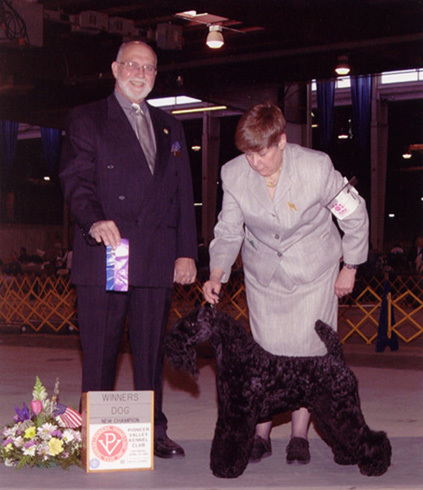 **FLASH** Paxon's Shall We Dance completes her title at the Everglades all Terrier Show, March 7, 2003! "Shelly" is the 66th champion for PAXON!!!. Congratulations to "Shelly" & her proud owner, Joan Lambert. 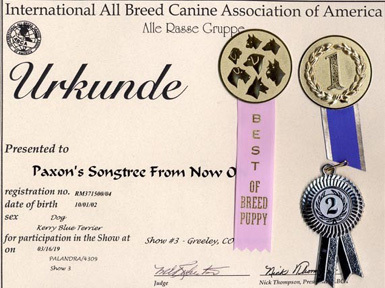 **FLASH** Paxon's Songtree From Now On, "Ky", becomes an "International Puppy Champion" his 1st weekend out at the International all Breed Canine Assoc. of America!! 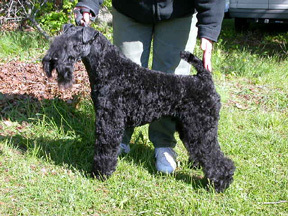 He was handled by his proud owner Nick Palandra. "Ky" is sired by Ch. Hallsblu Royal Flush. 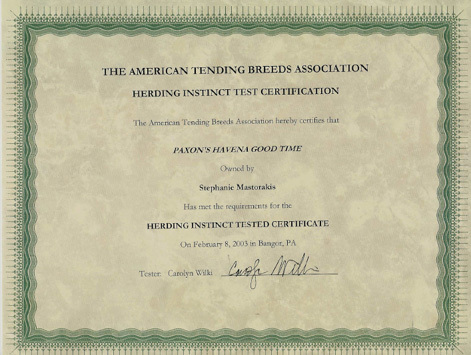 **FLASH** Paxon's Havena Good Time , "Kelsey", goes to a Herding Instinct Trial & passes with flying colors in just 5 minutes!!! Congratulations to proud owner Stephanie Mastorakis! "Kelsey" will be starting his conformation career this Spring. KELSEY DOES IT AGAIN!!!! 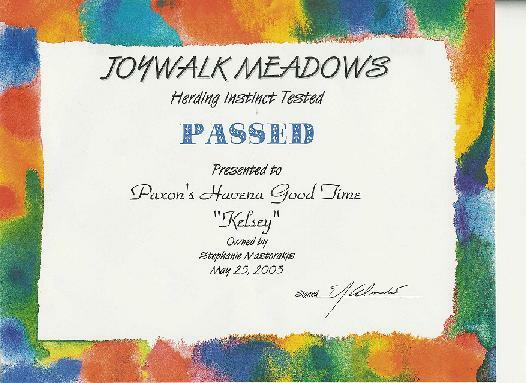 May 25th "Kelsey" passes his 2nd herding trial. 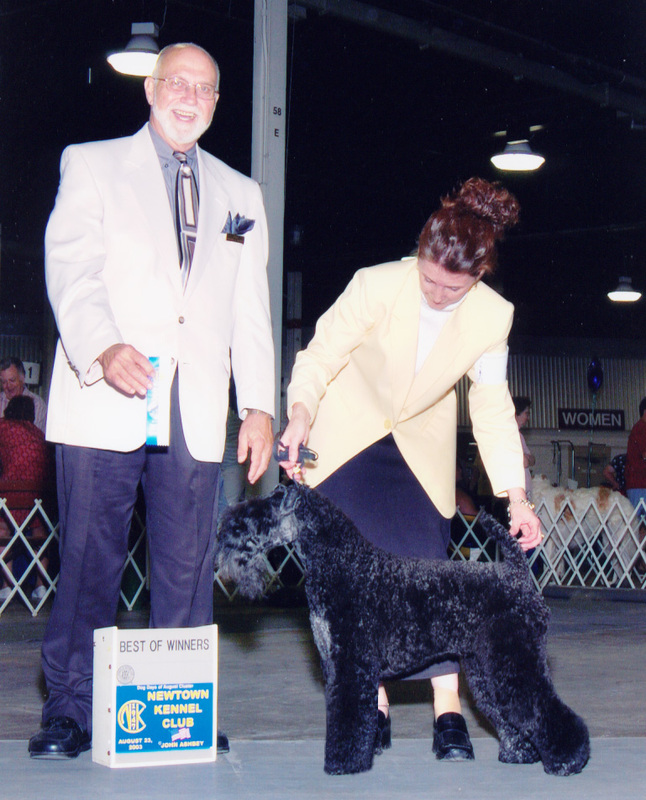 **FLASH** Paxon's Easy Rider completes his championship with a 3rd major win on April 19, 2003. 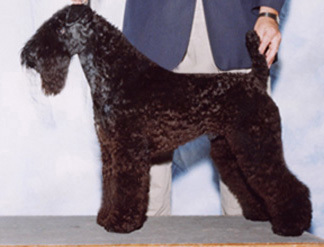 "Rider" is the 3rd from his litter to finish, making him PAXON'S 67th champion!!!! **FLASH** PAXON dogs take the Long Island weekend by storm!!!! 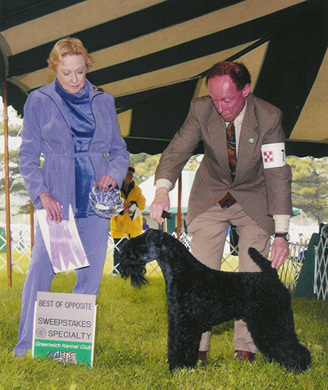 Paxon's Tangwystl, "Nikki" goes WB,BW,BOB on Fri. May 16th for a major win, repeating the WB,BW the following day for a 4 point major, bringing her total of points to 13, now just 2 single points from her title! Our new youngster, Paxon's Jacks or Better, "Jack", comes from the puppy class on Sat. 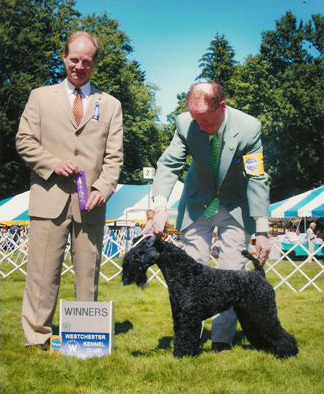 May 17, going WD for a major, repeating the win the next day for 2 points & Best Puppy & Puppy Terrier Group 3! 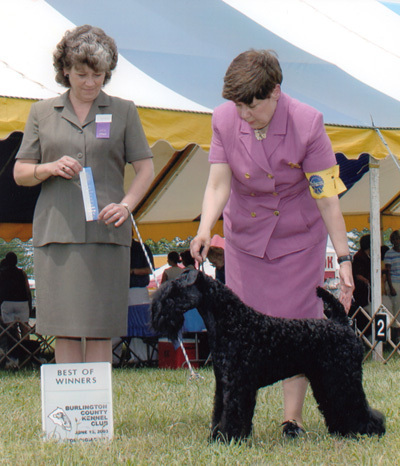 Not to be outdone by her brother, litter sister, Paxon's Blaithin, "Blaze", wins BEST of BREED from the puppy class the 2 weeks later, at the Huntington Valley KC on May 31st. BOS in Sweeps goes to Paxon's Havena Good Time. "Kelsey", and then on to RWD from the 12-18 month puppy class!! 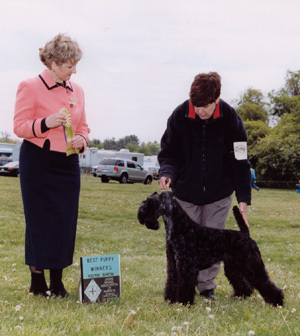 The following week "Kelsey" wins from the puppy class ...WD,BW!!!! 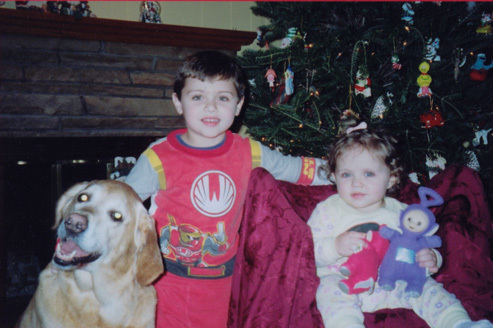 WB for a 5 point major goes to Paxon's Tangwystl, "Nikki". This win completes her championship, making her the 68th champion for PAXON!!!!! 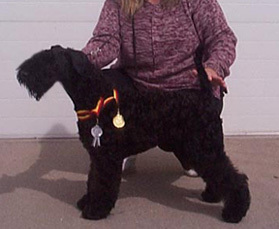 **FLASH** Congratulations to Diane & Ray Bealieu & their Paxon's Rook of York, "Rookie". 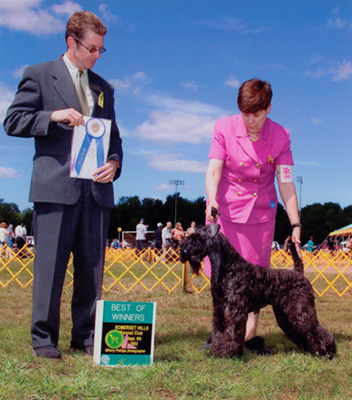 "Rookie" won both of his majors on the same weekend, June 28th & 29th, at the Hockamock & Wampanoag KC shows!!!! **FLASH** It was a HOT 4th of July weekend for littermates, Paxon's Jacks or Better, "Jack", & sister Paxon's Blaithin, "Blaze". "Blaze" wins the Breed from the puppy class over Specials & "Jack" wins BOS over Specials too!!!! 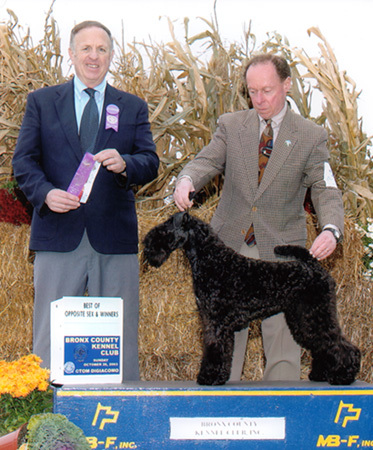 Paxon's Songtree From Now On, "Ky", wins a 4 point major from the puppy class, handled by owner Rick Durmon. 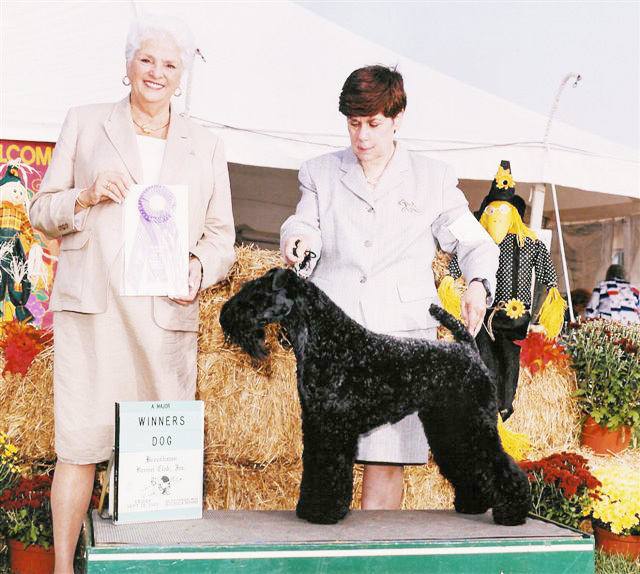 Paxon's Rook of York, "Rookie", wins his 3rd major , handled by his owner Diane Bealieu. Paxon's Havena Good Time, "Kelsey", wins another point towards his title, handled by Richard Santo! 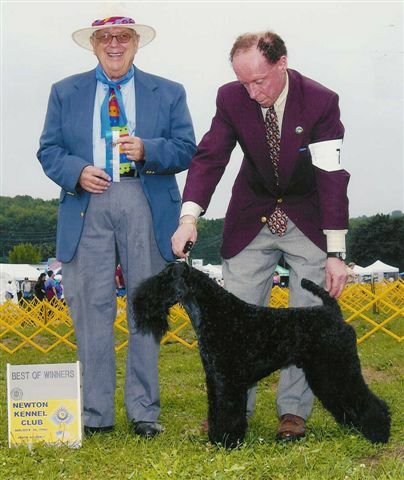 Paxon's Jacks or Better, "Jack", is WD,BW at the Philadelphia KBTC Supported Entry at Somerset Hills KC, from the puppy class! The next day, at the prestigious Westchester KC, Paxon's Havena Good Time, "Kelsey"is WD for a major win! 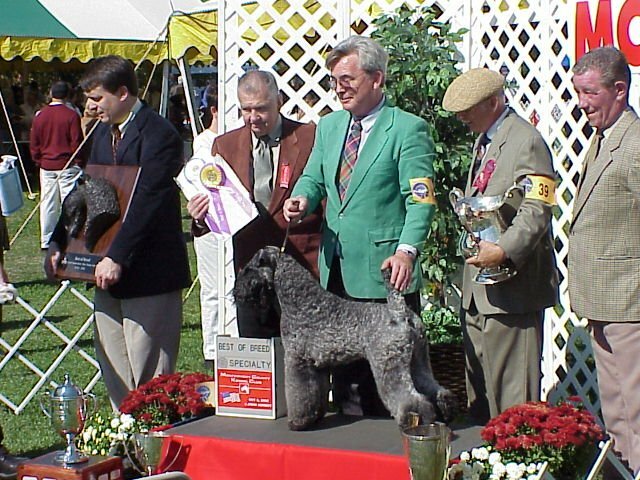 Paxon's Rook of York takes his 4th major, owner handled, & completes his title making him the 69th champion for Paxon!!!!!!!!!! "Kelsey" wins another major , this time at the Empire KBTC Supported Entry on Fri. Sept.24th at the Brookhaven KC, & then tops the weekend off with yet another major at the Sun. Empire KBTC Supported Entry at the Westbury KC!! 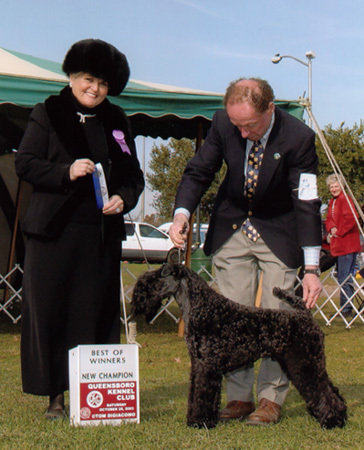 Not to be left out, ,Paxon's Blaithin, "Blaze", wins a 4 point major, from the puppy class, at the Empire KBTC Supported Entry on Sun. Sept. 26th at the Westbury KC!! 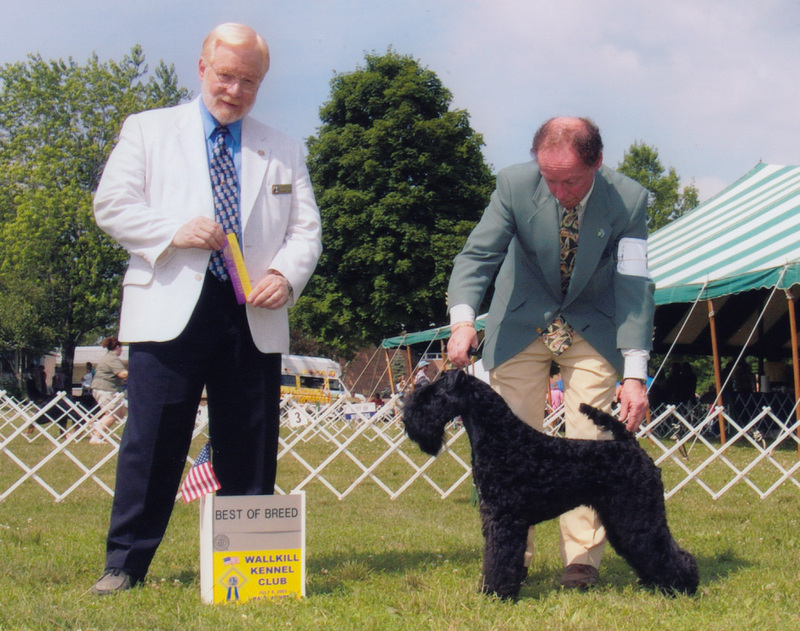 "Blaze", wins her 2nd major from the puppy class , bringing her to a total of 13 points with both majors!!! She just needs 2 points for her championship!! !